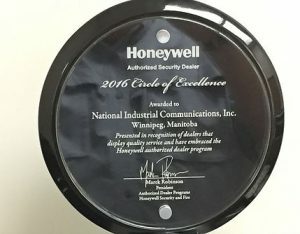 National Industrial Communications Inc President Chuck Neufeld received the coveted Honeywell “Circle of Excellence” Award while in Hollywood, Florida, recently to attend the Honeywell “Connect 2016”, an event designed to honour select Honeywell Authorized Security dealers. The Circle of Excellence award is exclusively given to Honeywell Authorized Security dealers who use sound business practices, have strong customer service skills and have morally and ethically sound employees. The honoured company must operate in a professional manner and embrace Honeywell Security’s way of doing business. 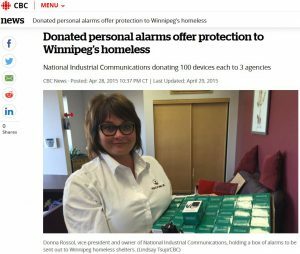 A Winnipeg security company has donated 100 personal alarms to agencies that help the homeless so that the city’s most vulnerable people can protect themselves on the streets.